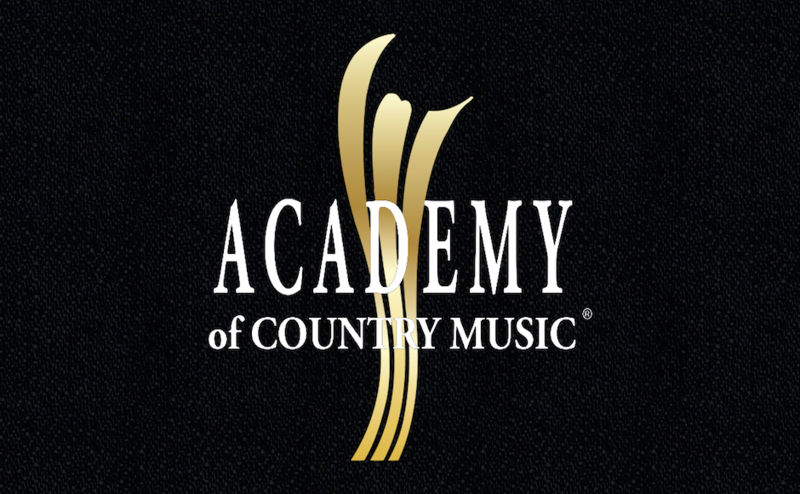 The 52nd annual Academy of Country Music Awards aired Sunday night in Las Vegas’ T-Mobile Arena. Few awards were actually given on camera, but the night was jam-packed with unforgettable performances. A multi-artist medley kicked off this year’s show, consisting of the five artists up for Entertainer of the Year. Jason Aldean began the medley with his song “Lights Come On.” He was later crowned the king of the category with the ACM for Entertainer of the Year. The opening act also featured Luke Bryan, Florida Georgia Line, Carrie Underwood and Keith Urban. Bryan and Bentley lived up to their hostly duties by providing jokes a-plenty. The humor was definitely centered around a night in Vegas they couldn’t quite remember. But, they promised the audience nothing less than a night they wouldn’t forget. 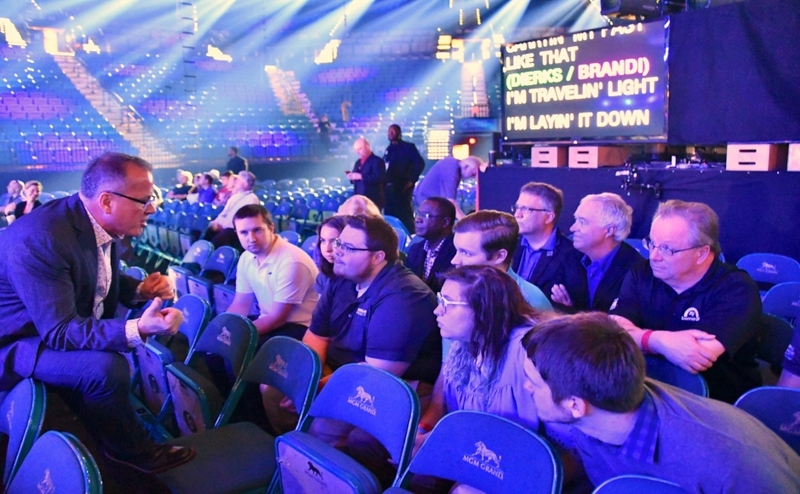 An outstanding 23 performances took place within the three hours designated to country music. 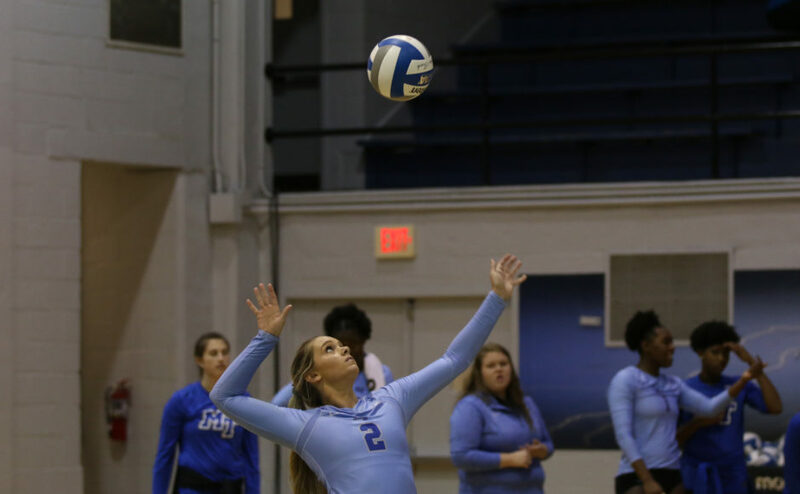 Sam Hunt was the first to deliver with his new single “Body Like a Backroad.” The MTSU alumni took a turn midway through his performance by stepping into the audience and serenading his fiancee, Hannah Lee Fowler. Hunt continued to sing his song while wrapping his left arm around her, breaking hearts all over the world. As the night went on, many other artists took the stage: Dierks Bentley, Maren Morris, Jason Aldean, Miranda Lambert (who delivered a heart-breaking performance and took the ACMs for Album of the Year and Female Vocalist of the Year), Rascal Flatts, Keith Urban and Carrie Underwood. Little Big Town went neither little or big with their performance — they went bold. They shared their song “Happy People” in a hippie-inspired way, adding fluid pops of color to the stage with their floral backdrop. The quartet was followed by another beloved country music group, Lady Antebellum. “You Look Good” was performed by Lady A, and it was delivered in a very brassy kind of way. It was this performance that stole the night and showed Vegas how to party country-style. The performances continued with Brothers Osborne, Kelsea Ballerini, who sported a hot pink bodysuit that will likely show up on everyone’s hit or miss list, Chris Stapleton, Brett Eldredge and Luke Bryan. “Twenty years ago, on the ACMs, this couple surprised the world with their very first duet ‘It’s Your Love.’ Tonight, they are here with the worldwide premiere of their new single ‘Speak To a Girl,’” Luke Bryan said as he welcomed the one and only Tim McGraw and his lovely wife, Faith Hill, to the stage. The couple stuck to a very classy, stripped-down performance style. As the song progressed, the two were drawn closer to each other until they were completely locked into one another’s eyes, singing to each other as if they were the only two people in the room. To wrap it up, a hug and a kiss, along with a standing ovation. 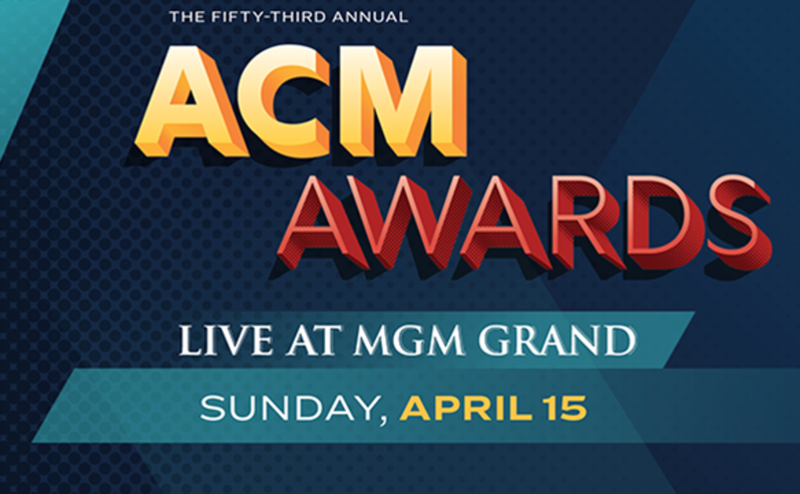 Other performers of the ACMs included Thomas Rhett with Maren Morris, Old Dominion, Cole Swindell with Dierks Bentley, Reba McEntire with christian singer Lauren Daigle, and Jon Pardi. 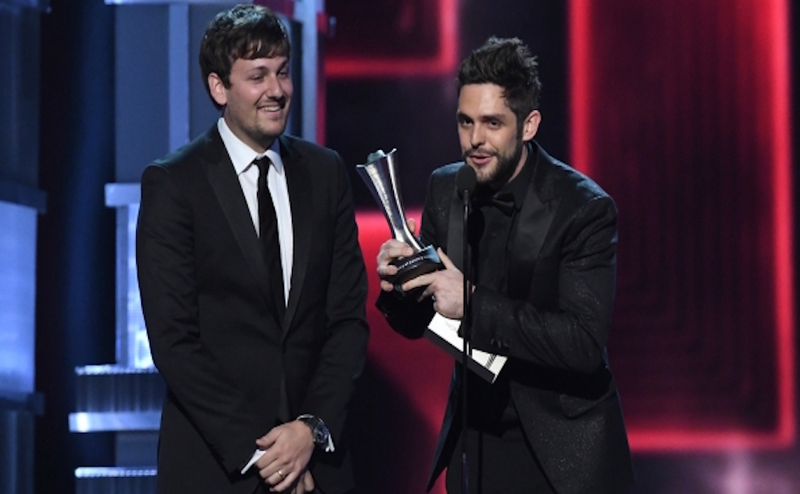 “Forever Country” from artists of Then, Now, & Forever rightfully took home the ACM for Video of the Year. Stars such as Keith Urban, Carrie Underwood, Jason Aldean and many more flooded the stage, but it was Little Big Town’s Karen Fairchild that accepted the award on behalf of everyone in the video-making process. “We are so happy to celebrate country music. I mean, what a rich heritage we have,” Fairchild said. As stated previously, Jason Aldean was awarded the ACM for Entertainer of the Year. The country party in Las Vegas ended on a high with the collaboration of Florida Georgie Line and the Backstreet Boys. They first sang their duet “God, Your Mama, and Me,” then later transitioned into the crowd-favorite “Everybody.” The energy level overtook the crowd with a roar. FGL and the Backstreet Boys even involved the audience with their performance. They focused on Tim McGraw’s moves, and they also showcased Carrie Underwood’s serious sing-along talent. View the complete list of awards here.